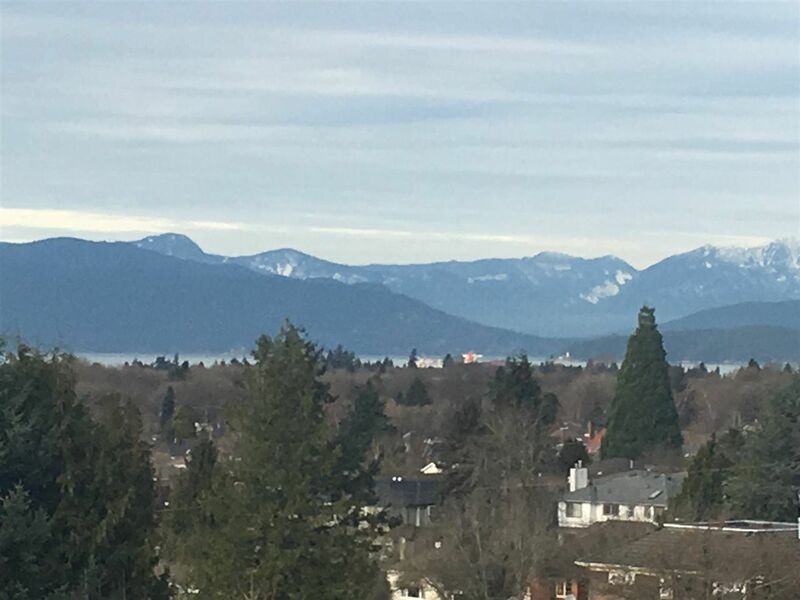 Spacious 1984 sq ft PENTHOUSE in Arbutus Village in the "King Edward" with MOUNTAIN and WATER VIEWS! This northwest facing 2 bedroom and familyroom/den, 2 bath one level unit boasts hardwood floors, renovated kitchen with Corian tops and Center island, and large principal rooms that will accommodate house sized furniture. The private deck is a huge bonus with over 840 sq ft of which 240 sq ft is covered. Extend your living space and enjoy outdoor living and WATER VIEWS on this sundrenched deck that could fit your outdoor kitchen and ample patio furniture. The unit comes with 2 parking stalls and a storage locker. Amenities include an outdoor swimming pool. Close to Arbutus Mall, Arbutus Club and private schools.